The power of what could be communicated and created in the classroom increased dramatically when smartphones with built-in video capabilities entered the mainstream. Virtual reality is simply the next step in the evolution of interactive learning. In order to integrate this exciting technology into schools, educators must look into the training associated with making it an everyday learning tool. While the concept of virtual reality may seem a bit advanced to some, the truth is that it’s not that different from the augmented reality seen in popular apps such as “Pokémon Go.” Getting familiar with augmented reality is a great first step for teachers looking to make their classrooms VR-friendly. Many educators may already be familiar with it without even realizing it. Buying new technology for schools is expensive. 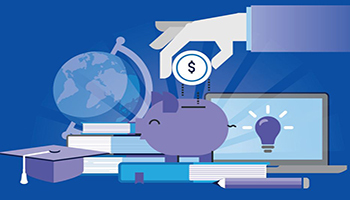 Download the white paper for a free guide on funding solutions for educational technology. Added costs and the challenges of finding funding are often the biggest reasons why technology doesn’t make it into our schools until much later. Over the past decades, schools fell behind in incorporating digital resources, video, sound and multimedia into their curriculum. If educators don’t act now, the same thing could happen with VR. Contrary to what some educators may think, bringing virtual reality into the classroom is no more complex or costly to incorporate into lesson plans and traditional learning modules than regular video, music and other content creation apps were when they came on the scene fifteen years ago. When it comes to taking action, educators can follow a similar process of lobbying for funding and evolving their curriculum to include virtual reality. Since many students are already coming to class with VR-compatible devices, the cost of VR integration could be exponentially lower than the school board or PTA may have estimated. In fact, schools could simply provide a few headsets to make their classrooms VR-ready. Years of research and rising test scores have proven that effectively planned and implemented ed-tech programs are well worth the investment. To begin bringing VR into the classroom, start by assessing your school community’s needs and goals. Are your students already bringing VR-ready devices to school? Are parents looking for new ways to bring what their children are learning in the classroom home? Would teachers benefit from giving students a more interactive learning experience? Once you’ve assessed the many ways in which VR could enrich your academic environment, it’s time to start creating an integration strategy. While the benefits of virtual reality in education are universal across a wide variety of subjects and learning styles, the right strategy for integration varies from school to school, and even from classroom to classroom. However, with the right support and information on how VR can increase students’ comprehension and excitement about learning, bringing VR into the classroom is completely possible. While the integration of virtual reality in education is sure to transform learning in any academic environment, the process of implementing it doesn’t have to be revolutionary. Looking for more ways to incorporate virtual reality and other game-changing technologies into your lesson plans? Find out how Samsung is revolutionizing educational technology.